SkinCalc is a Free Skinnable Calculator with more than 100 free different skins available for download. Free Skinnable Calculator SkinCalc is developed by the folks at Cloanto, now over hundred free skins are available through the official website and from the galleries of different developers in deviantArt. The calculator has a variety of built-in functions which can be used to configure the user interface for custom needs. You need to download SkinCalc before using any Skin! 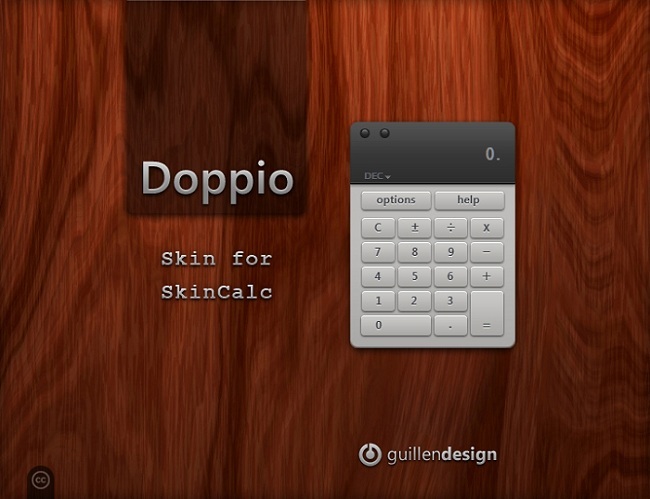 This the link to download the Doppio Skin developed by GuillenDesign. This Article Has Been Shared 8740 Times! View Windows Error Code Descriptions with the free Windows Error Lookup Tool. Photo Booth for Windows 7 is a standalone executable and perfect clone of Apple Mac Photo Editing Software Photo Booth. Wooden FlipClock Widget for XWidget is a nice realistic Clock widget for Windows 7 PC. Modern Calender Widget is a calender widget for xwidget flip back to toggle between days settings and compact view. This runs on XWidget Engine. Hello Sumit, Welcome to TheCustomizeWindows.
. You will get a “Skins” directory there. Just copy paste the downloaded skin (s). Some SkinCalc skins are of .exe format, in that case you’ll just need to double click and follow the wizard. Yes, Re-captcha is definitely difficult to solve, some times irritating too. You can, however send your feedback to Google’s Re-captcha team by clicking the interrogation mark (?) on the Re-captcha box, then click the contact us link on the box that pops up, fill up the form. You can help others (and us) by submitting your valuable opinion. Thank you too, Sumit :) Thanks for sharing too. Thank you again for the wishes. Cite this article as: Abhishek Ghosh, "Free Skinnable Calculator SkinCalc with more than 100 different skins," in The Customize Windows, July 26, 2011, April 18, 2019, https://thecustomizewindows.com/2011/07/free-skinnable-calculator-skincalc-with-more-than-100-different-skins/.